Freeman Tools Air Nailers Are Designed For Various Professional Carpentry, Framing, and Construction Applications. These nailers are pneumatic models that support general wood or metal working applications including interior and exterior framing, flooring, roofing, cabinetry, and other related tasks. 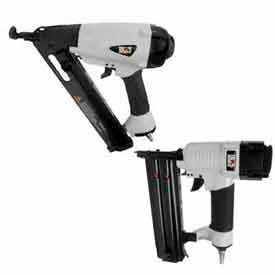 The ergonomic, lightweight designs with comfort grip handles and trigger mechanisms allow the nailers to be handled easily for user convenience. The units are made of high quality materials for lasting strength and dependability. Includes built-in air filters and safety locks for user safety during operation. Available fastener styles are Angle Finish Nails, Arrow T50 Staples, Brad Nails, Brad Nails and Narrow Crown Staples, and more. PSI’s range from 60-100 to 70-115. Magazines range from 1 to 100-120. Fastener lengths vary per model. NuMax Tools Air Nailers and Staplers Are Designed For Various Professional Carpentry and General Woodworking Applications. 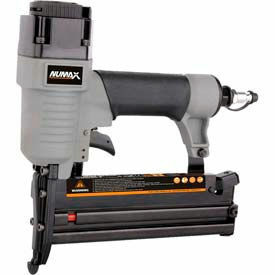 NuMax tools air nailers and staplers accommodate framing, cabinetry, and more. Ergonomic, lightweight design with comfort grip handles reduces fatigue during extended use. Additional specifications vary per model. Eagle Air Nailers Accommodate Maintenance Tool Work In Need of Driving Nails. Eagle air nailers provide faster performance rates for driving nails. Some models are designed with 360° adjustable exhaust. Ergonomically engineered body and comfort grip rubber handle offers user comfort control. 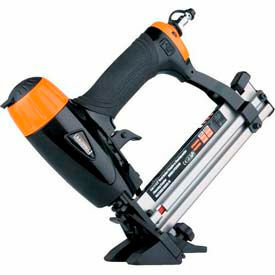 Select air nailers include molded plastic carry cases. Specifications vary per model. NuMax Narrow Crown Stapler SST9032, 18 Gauge, 1-1/4"